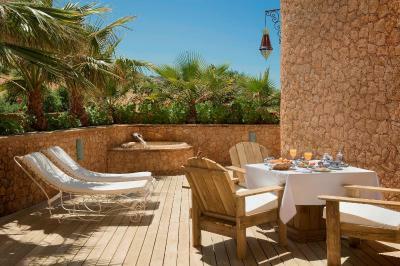 Lock in a great price for La Sultana Oualidia – rated 9.3 by recent guests! The scenery was very beautiful and unique as it’s location was a tidal lagoon. The ambience of the hotel was peaceful and the hospitality of the staff exceptional. We had the best seafood lunches and dinners ..locally caught seafood, oysters, langouste, blue lobster, razor clams in abundance and cooked to perfection or raw. Spectacular hotel which managed to live up to expectations. "Exclusive" is over-used in the hotel trade but properly applies to this property. NY eve was delightful and the staff hosted a superlative event. A true retreat and a beautiful property. So much attention to detail, a perfect fusion of luxury and a respect for the environment. Breathtaking location ! We had a lovely stay there. We liked very much the hotel style. Charming ! And we loved having a walk nereby. The nature is Amazing. Also we a great time in the outdoor jacuzzi, in the indoor pool and the hammam. It was a beautiful place to stay. The rooms were very large and airy and really comfortable. The best thing though were the staff ... they were absolutely wonderful, particularly the restaurant staff who we saw every day and they were thoughtful and charming. The managers were very friendly and helpful too. The spa and treatments were great. One of my favourite places ever! The terraces are very private and nothing is to much trouble for the staff.The views from the deck and pool are wonderful. Beautiful location and facilities. Friendly helpful staff. Good food. Excellent spa facilities. La Sultana Oualidia This rating is a reflection of how the property compares to the industry standard when it comes to price, facilities and services available. It's based on a self-evaluation by the property. Use this rating to help choose your stay! 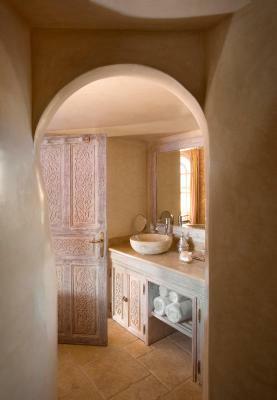 Hotel La Sultana welcomes you in a well-preserved natural setting and modern and elegant accommodations. 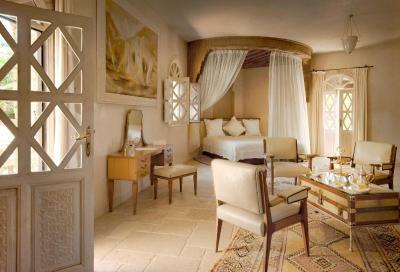 La Sultana features luxurious rooms and suites designed with natural materials to create a feeling of serenity. They are all air-conditioned and equipped with modern private bathrooms, plasma-screen TV and Wi-Fi internet access. Many of the rooms offer a panoramic view of the nearby lagoon. Savor fish, seafood specialties and grilled delights in the hotel’s restaurant. And for your relaxation, the hotel offers a spa with a heated indoor swimming pool, a hot tub and a lounge. After an intensive session in the gym, enjoy a beauty treatment or a massage. This property also has one of the top-rated locations in Oualidia! Guests are happier about it compared to other properties in the area. This property is also rated for the best value in Oualidia! Guests are getting more for their money when compared to other properties in this city. 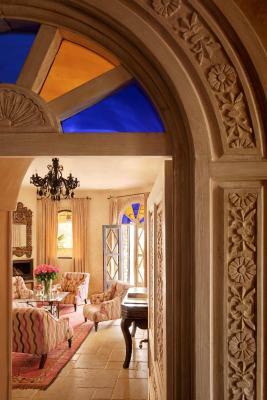 When would you like to stay at La Sultana Oualidia? This room has a private terrace with flowering plants and a hot tub. 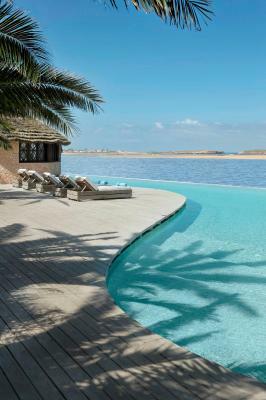 La Sultana Oualidia*****, member of Small Luxury Hotels of the World, is a perfect nature & ocean gateway to relax and rest. It is located along the Oualidia lagoon famous for its oyster farms and flocks of pink flamingos. 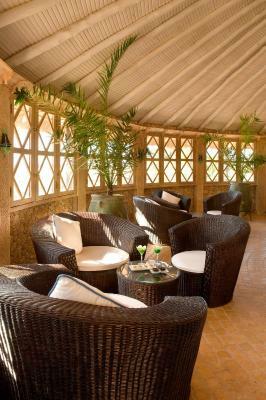 From the Moorish fort, set in landscaped surroundings, you will be charmed by the view of the grass-roofed cabanas, the turquoise swimming pool, the lagoon and the boundless ocean. La Sultana Oualidia reveals herself only to the selected few who travel the world searching for exceptional places, who pause to savour the moment and fix it in eternity. Pleasures for all the senses: Private beach - Outdoor ionized pool (40m long) - 5 sea water Jacuzzis around the swimming pool - Spa - Gym - Lounge Bar - Library - Billards - Cooking courses airport transfer service - Fully equipped private meeting rooms on demand - Library to chill out with books - Laundry and Concierge services - parking. House Rules La Sultana Oualidia takes special requests – add in the next step! La Sultana Oualidia accepts these cards and reserves the right to temporarily hold an amount prior to arrival. Please note this hotel does not accept American Express as a guarantee for the booking. The excursions were on the light side but enjoyable. The surfing expedition was geared towards beginners mostly but if more advanced you could still enjoy being out in the water. The best hotel in Morocco! My stay was just amazing, everything was perfect. The room was beyond any expectations, especially I enjoyed the hot tub which located just on a room terrace. Hotel offers many activities, some of them are even complimentary. Property is very green, full of details and the atmosphere is very relaxing. The hotel even has its own farm so all products in restaurants are 100% organic. The breakfast had very hight quality. The staff is very caring, especially in Front Office and Food and Beverage. The hotel helped my family to prepare an astonishing surprise. Everyone was so friendly and welcoming that I felt at home. Special thank to Yassine from Front Desk team who was always very helping with any requests. Besides, thank to Mesod who kept me informed about all actives and made sure that I arrived safe to my destination. Halimah from F&B team gave a very interesting workshop on how to make almond milk and gave very useful me some tips on bio products. Thank you so much for the best experience in Morocco! A Nespresso machine in the room would have been the icing on the cake. Really and truly nothing else. Perhaps more food options in the restaurant. The breakfast choice is limited . The bedding is not at its best. The outdoor pool was very cold, they may think of heatting it a bit. Must replace signage at the hotel and as you pull off the main road. The road itself needs improvement as both these issues did not create a good first impression. Some clients would simply head off somewhere that looked more welcoming.